Have you ever wondered how to make congee? Does it look hard..with all the ingredients and what not, or does it look like a Chinese-lookalike porridge dish? 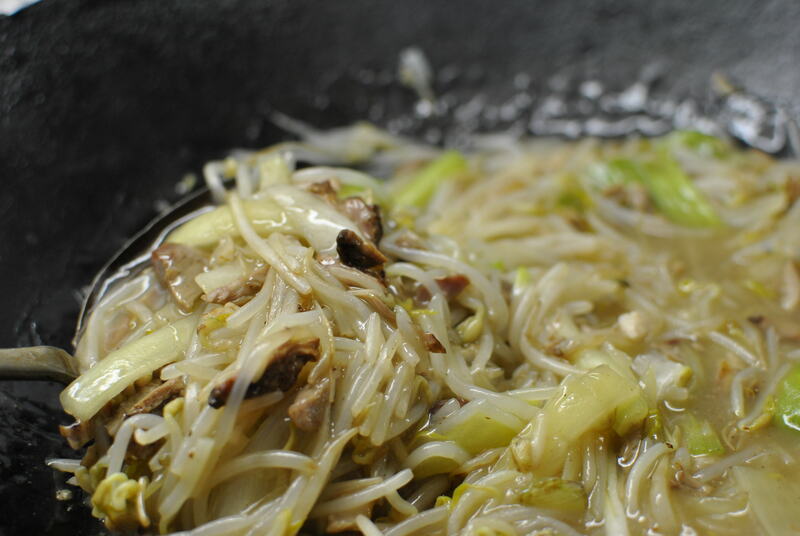 Surprisingly, it’s really simple and requires a few basic already at hand ingredients: rice, oil and water. My dad watched a cooking show one day and the show was teaching its viewers on how to make the best congee. Oil was the magic ingredient Apparently, after the rice is washed (YES, we Chinese people like to wash our rice before cooking it), oil is added to the rice (somehow the oil breaks down the rice molecules, to help the rice break down when put in a pot of boiling water). Then the mixture is left for a minimum of 4 hours. Get a pot of boiling water (or broth) and throw the mixture of rice and oil and let it boil for hours, or until the rice breaks into pieces. *Tip- when everything is added in the pot, use chopsticks and place in on either sides of the pot and then put the lid on, so there is a gap for the steam to escape. If this is not done, the mixture will boil over and you’ll create a mess on the stovetop. *There is no exact recipe for this, at least, I was not told when growing up. Some people like their congee to be more thick while some may like it to be more watery-like consistency. 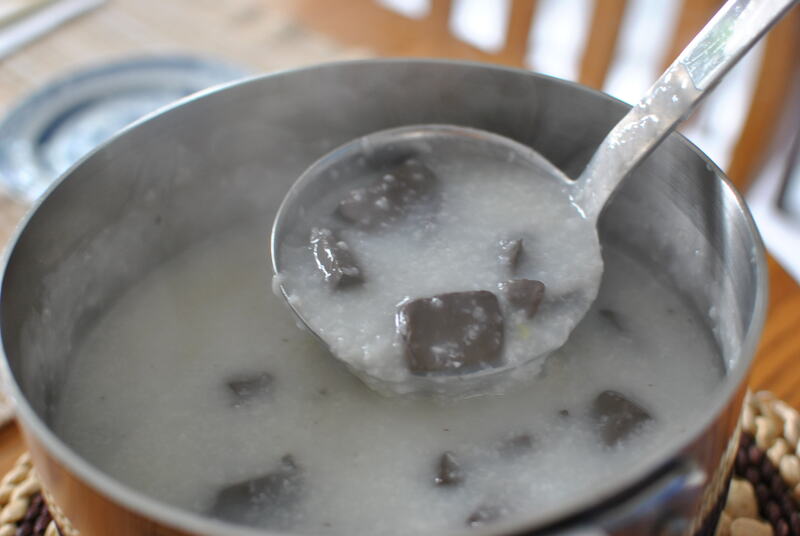 There are many ingredients you may add to your congee, because it is just water, rice and oil. It might taste bland, but some like it. Last time my family made congee, we added pig’s blood (this might sound disgusting to some, but it’s popular within the Chinese culture, at least, from where my family’s from). 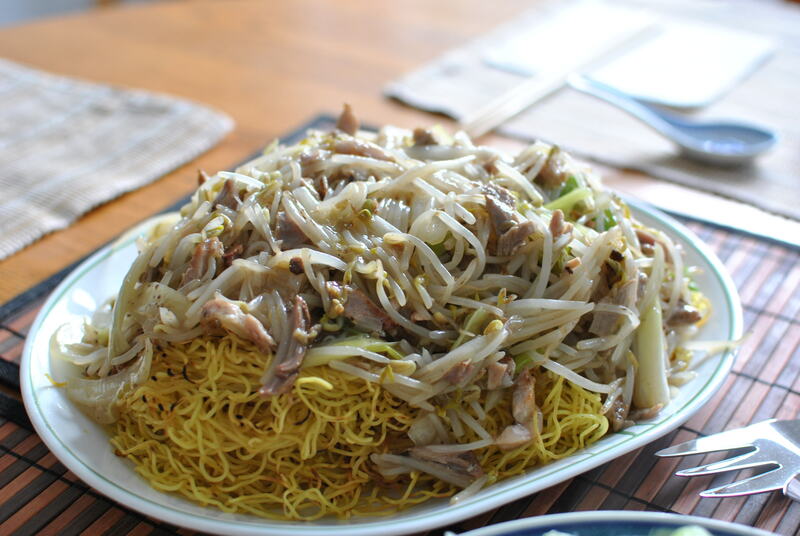 My dad also made fried noodles for dinner that day. 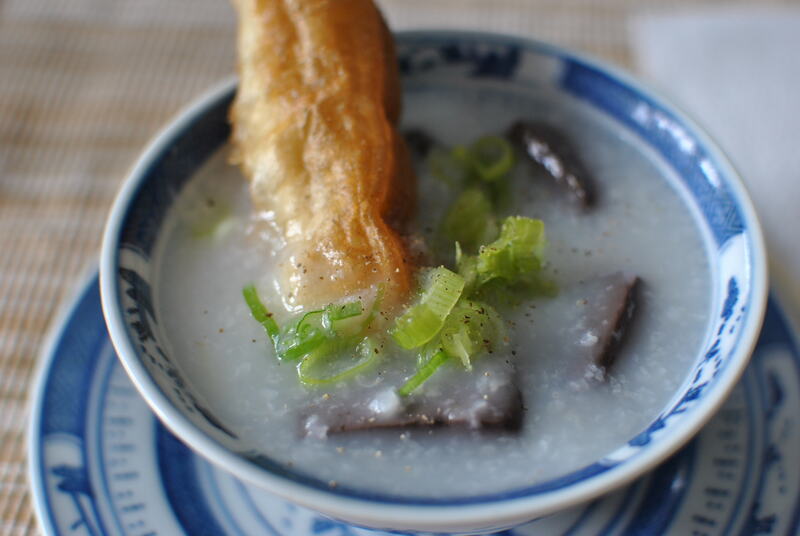 Chinese fried dough is also popular when eating congee. Top it off with green onions will make it 10 times better. That looks interesting. 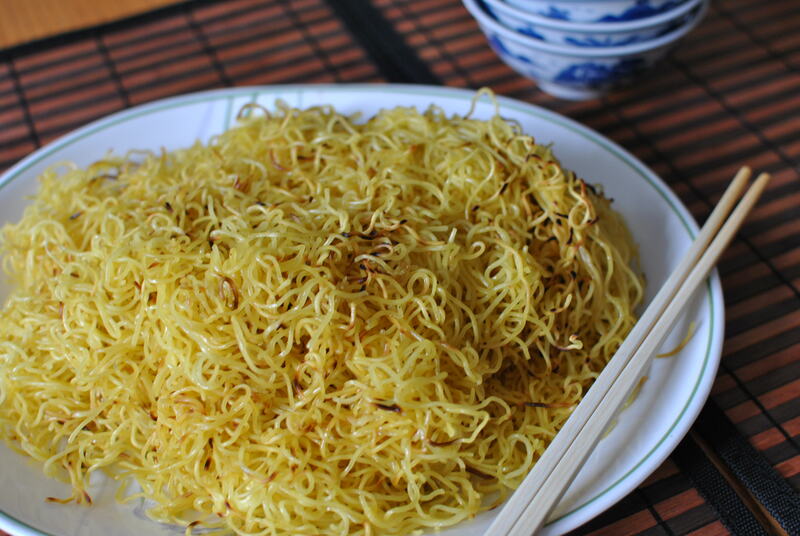 I love noodles, too. I’ve always wanted to make congee from scratch. Do you like to add pickles to yours? When I was younger, my mom used to make congee with chicken stock. And yes, she used to serve it with Chinese pickles but you can also make spicy pickled beats, that is..if you can handle the heat.